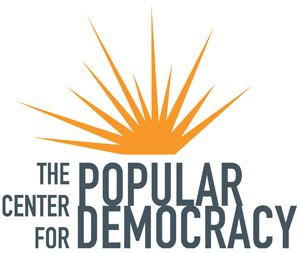 The Center for Popular Democracy & CPD Action (CPD/A) work together to promote equity, opportunity, and a dynamic democracy in partnership with innovative base-building organizations, organizing networks and alliances, and progressive unions across the country. We currently work with more than 45 partner organizations in more than 38 states, Puerto Rico, and D.C., and build the strength and capacity of democratic organizations to envision and advance a pro-worker, pro-immigrant, racial and economic justice agenda. We are a rapidly-expanding, changing organization that partners with organizations across the country to build political power and win tangible victories that improve the lives of low-wage workers, immigrants, and communities of color. The Center for Popular Democracy & CPD Action (CPD/A) is seeking a full-time Senior Counsel or Associate Counsel, who will advise the organization on a wide range of legal, operational, and compliance issues. The ideal candidate will be able to anticipate and identify legal issues and will counsel decision-makers in order to develop legal strategies and solutions. Manage outside counsel and identify and maintain relationships with pro-bono counsel. The salary range for this position is competitive and commensurate with experience. We have a generous benefits package, including health insurance, dental insurance, vision insurance, 15 vacation days per year, 10 sick days per year, 12 paid holidays per year, and contributions to individuals’ 401K plans.